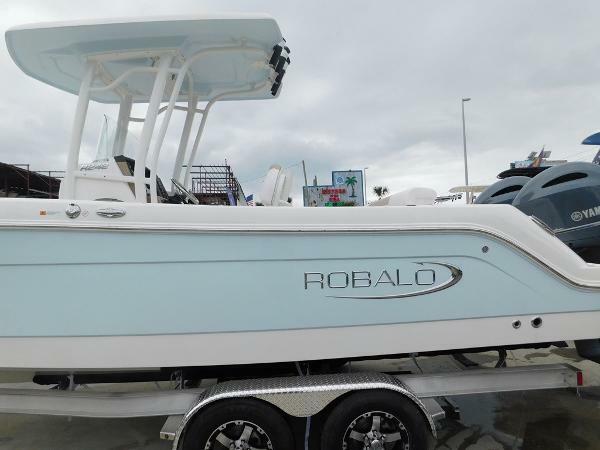 The amazing R242 is one of Robalo's newest center console offering available at No Haggle, Reel Deal pricing. 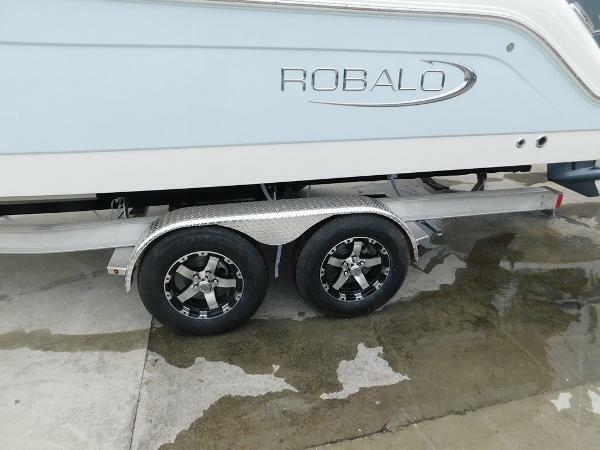 Brace yourself, fish boat design just took another giant leap forward. Upfront, the large casting platform is sure-footed and accessible. In the cockpit, a forward entry privacy head comes standard with a porta-pottie and a screened opening port light. Little extras like LED cockpit lighting, a bow filler cushion and a freshwater cockpit shower are all standard. Serious anglers will appreciate the best-in-class livewell capacity and massive insulated fish box storage. At this length, nobody does it bigger or better. 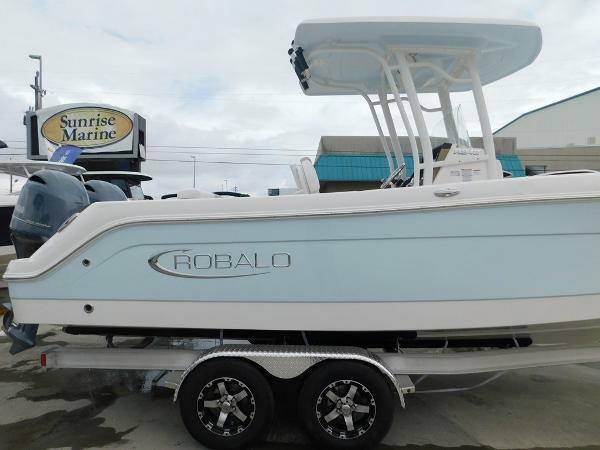 Fully equipped standard, take the R242 up a notch with key options including a fiberglass T-top that comes complete with four rod holders, LED spreader lights and an electronics box.